Mmmmmm donuts! Homemade donuts! At last weekend's holiday party, there was a white elephant gift exchange. When it was my turn, I decided to open a gift instead of steal a gift. I unwrapped an Alton Brown cookbook - quite nice. But then B stole V's gift so V stole my gift - oh no! 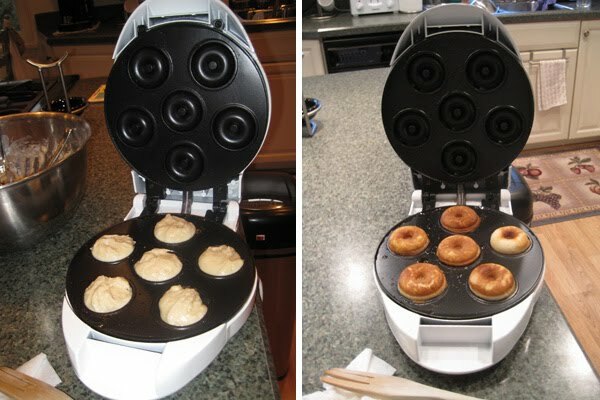 Instead of unwrapping a gift, I decided to steal D's gift: a mini donut maker. When the game ended, I still had the mini donut maker. Of course we had to try it out Sunday morning. The donut maker came with a recipe for cinnamon donuts - yum! 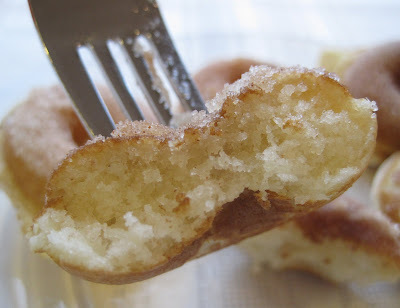 There's cinnamon & nutmeg in the batter. 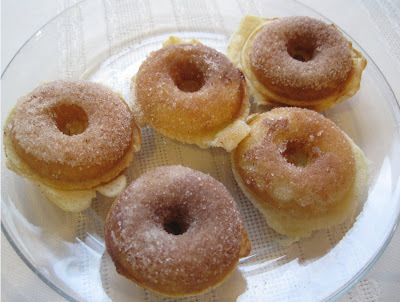 The photo on the left shows the donut batter spooned into the molds and the photo on the right shows the cooked donuts in the molds: After carefully removing the donuts, the tops are dipped in a bit of melted butter and then in a sugar-cinnamon mixture: Making mini donuts in the mini donut maker is kind of like making waffles or pizzelles. It's always a bit of trial & error to figure out how much batter to spoon into the molds and sometimes, a bit spills over. 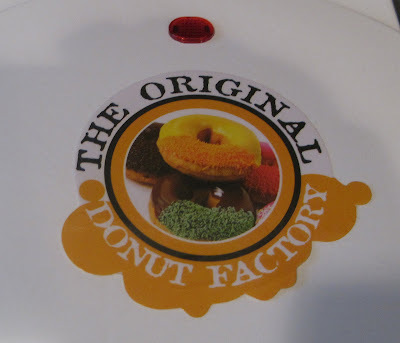 These donuts were tasty. Cake like. 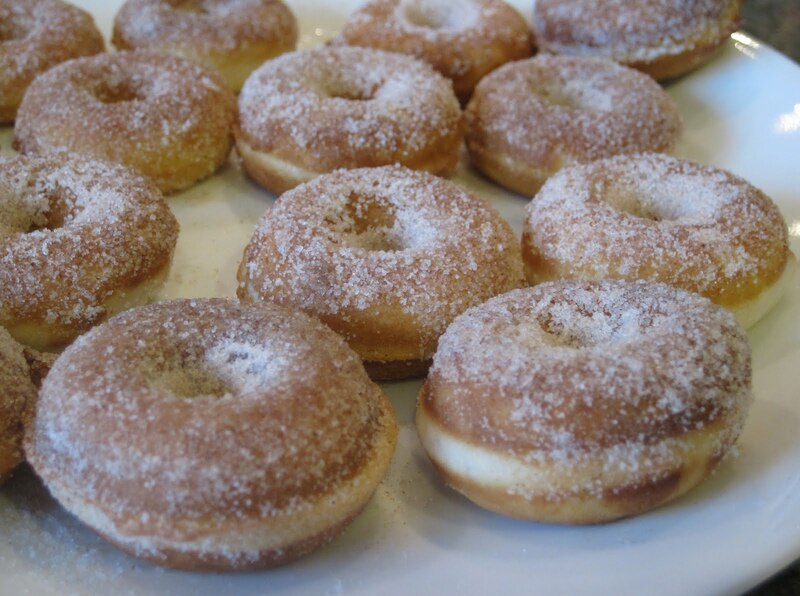 Cinnamony. A very nice morning treat (after we each ate our usual and healthier breakfasts). 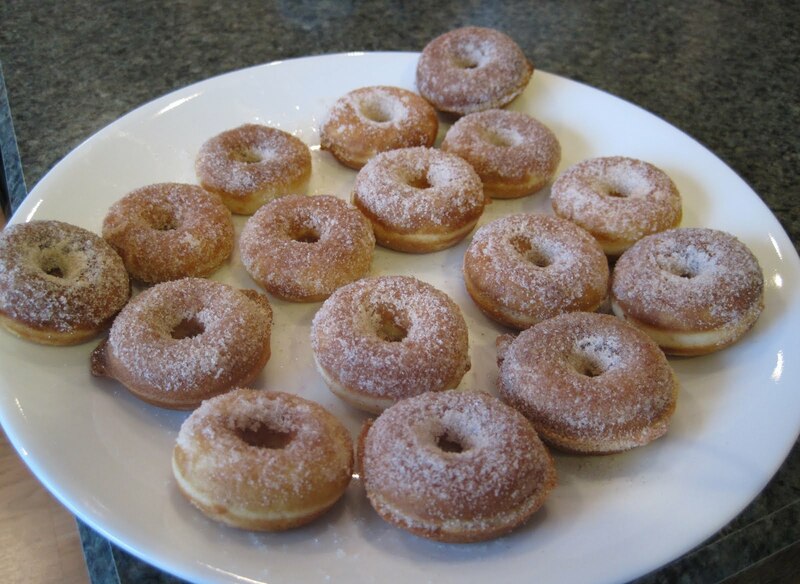 The recipe made about 30 mini donuts. 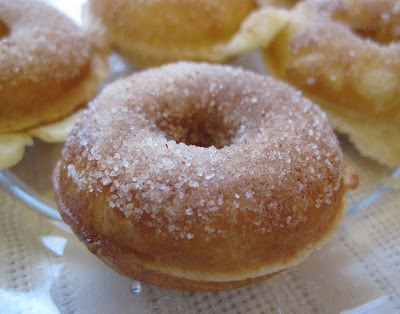 I am a bit embarrassed to admit that all the donuts were gone in 3 days! The donuts are much better warm than cool and much tastier on the day they are made than on subsequent days (they dry out a wee bit). 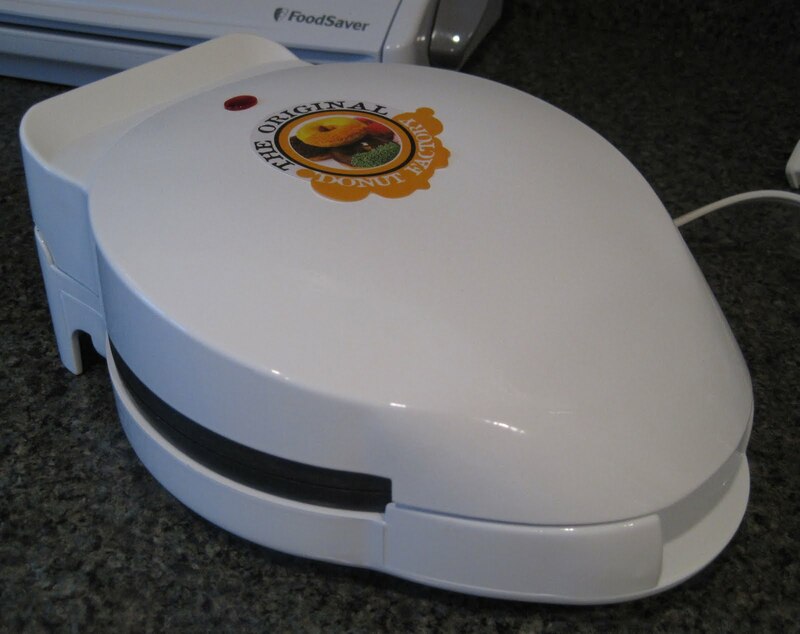 I think I am adding this to my list of "Kitchen Gadgets to get within the next 6-8 months". Oh man... I think I'm in love.